This is not a time to sit back and let others take action. The Montana Board of Oil and Gas Conservation (BOGC) is about to pass a rule on the advance disclosure of the chemicals used in fracking. This rule trades the rights of landowners for the rights of oil and gas companies. It’s a bad trade, and only your voice can make a difference at this point. To make a comment, send an email to mtogpub@mt.gov. Reference Hydraulic Fracturing Rulemaking in the subject line. The deadline is 5pm today. Your comment does not have to be long or elegant. Emphasize that the proposed rule is inadequate because it does not require operators to give landowners 45 days notice, which is required to do baseline testing. You might also say that the cost of baseline testing should be paid by oil and gas operators. Only a deluge of support for this position will move the board. Please take five minutes to do this today. Here is background information that will help you. The Board Chair was not present but the rest of the Board was there. Board member Rob Stutz moderated. In total, fifteen people testified and about thirty people were in the audience. Most of the commenters supported the position that more notice should be given. Alan Olson, head of the Montana Petroleum Association, predictably said he liked the Board’s current revisions and didn’t think anything else needed to be in the rules. He added that landowners could take operators to Court if they wanted additional information. This Montana Petroleum’s Association tells you all you need to know. While this excites his base, it is being done over the objections not only of environmentalists, but top energy industry executives, fossil fuel lobbyists, and lawyers. They have actively tried to persuade the Administration not to kill these regulations in a way that will backfire in practice. What they fear is a spate of lawsuits that will create market and regulatory uncertainty, and that is exactly what is happening. On Thursday the Administration used the rulemaking tactic to freeze federal fuel efficiency standards developed during the Obama Administration. This will have a substantial impact on slowing adoption of electric cars and reduction of carbon emissions necessary to hold off climate change. It will also hurt workers and consumers. According to the announcement the rules change will cost thousands of auto worker jobs, and hurt consumers, who would pay less in gas costs if the standards were implemented. Freezing the minimum standards for fuel efficiency at 35 miles per gallon in 2020 for six years, instead of having them rise to 50 mpg by 2026 under Obama’s plan. Revoking a federal waiver given to California to establish standards that are tougher than federal rules, which a dozen states have also decided to follow. This goes beyond what automakers have requested, but this rollback will keep states from implementing their own rules. You can be certain that California and environmental groups will file suit to block the rule change. This is just the latest step the Administration has taken to roll back standards using administrative procedure, and follows a relentless onslaught of getting rid of environmental protections. One thing is certain. The Administration is working to strip away responsible regulation in the name of being pro-business. If you are looking for help, look locally. That is the center of action, and the only way to get things done in the current political environment. Below is a list of other steps the administration has taken over the 18 months since Trump’s inauguration. You’ve probably never heard of most of them, and many will be delayed or killed because of the action of industry and environmental groups. But it is clear that the Administration has no concern for climate change or preparing us for the changed environment of the future. Pruitt. Scott Pruitt is confirmed as EPA Administrator. Pruitt is somebody I started tracking long before he came to Washington. He is a low-level grifter who treated public office like a personal vending machine. His many scandals are covered elsewhere, but he had a negative impact on the EPA that will be felt for years. The EPA under Pruitt moved to end the Obama administration’s signature environmental policies. Pruitt stalled the Clean Power Plan, the Obama administration’s effort to regulate power-plant emissions; worked to weaken 2022-2025 car fuel economy standards; delayed the “Waters of the United States” rule for two years; and wanted to downwardly revise the “social cost of carbon,” a crucial statistic when weighing the costs and benefits of fighting climate change. Pruitt also advocated for the U.S. to leave the Paris climate accords—leaving the U.S. globally isolated on what scientists broadly agree is an environmental crisis. In a letter recently published in the Journal of the American Medical Association, two Harvard University researchers argue that the Trump administration’s environmental policies, as championed by Pruitt, could kill 80,000 people per decade when compared to prior policy. Dismantle Obama climate protections. President Trump signs an executive order that begins to dismantle much of the work on climate change enacted by the Obama administration. The order takes steps to downplay the future costs of carbon emissions, walks back tracking of the federal government’s carbon emissions, rescinds a 2016 moratorium on coal leases on federal lands, and strikes down Obama-era executive orders and memoranda aimed at helping the country prepare for climate change’s worst impacts. Keystone Pipeline. The State Department grants a permit for the construction of the Keystone XL pipeline. The 1,200-mile pipeline would connect Alberta’s oil sands to refineries in Texas. This hasn’t been built yet, and many activists are committed to preventing it. Advisory Board dismissed. The EPA dismissed several members of their advisory board, an 18-member group that reviews the research of EPA scientists. The group has been controversial in the past because of its divergent opinions on issues related to water contamination by oil drilling. In August the Administration also disbanded a 15-member advisory panel for the National Climate Assessment. 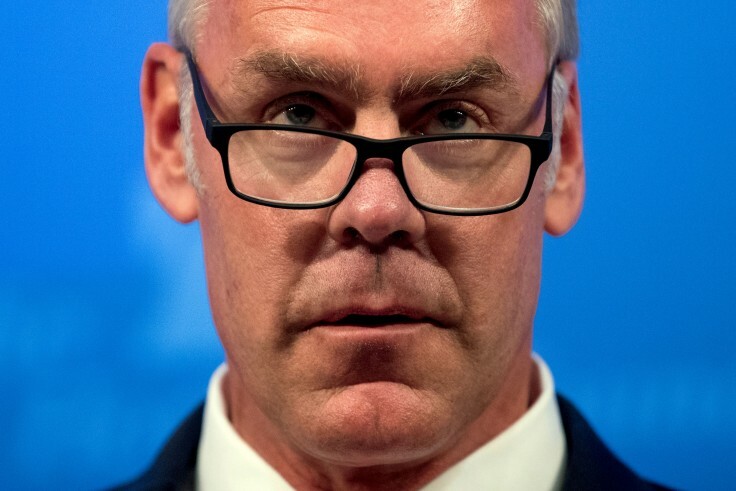 In January, nine of the 12 members of the National Park System Advisory Board resigned because of Zinke’s refusal to meet with them. The dismissal of scientific advisors is clearly part of an anti-science agenda. Paris Climate Agreement. President Trump announces that the US is leaving the Paris Climate Agreement. Under the agreement, the US had voluntarily agreed to cut its emissions between 26 and 28 percent below 2005 levels by 2025. In abandoning that promise, the US effectively cedes leadership on the issue to other countries, particularly China. Ending flood-risk standard. The President signed an executive order ending federal flood-risk standards that incorporated rising sea levels predicted by climate science. The order claims it improves infrastructure decisions by streamlining the environmental review process, but what it does is remove the requirement that all federally funded projects hold to a Federal Flood Risk Management Standard based on the “best-available, actionable…methods that integrate current and future changes in flooding based on climate science.” With average sea level rising every year, ignoring this data is at best imprudent. Ends health study. The Administration suspended a study of health risks to residents who live near mountaintop removal coal mine sites. The state of West Virginia had requested the study after researchers at the University of West Virginia found increased risks of birth defects, cancer, and premature death. EPA enforcement lags. A report by an environmental group states that in its first six months of the Trump Administration, the EPA has filed fewer lawsuits against companies for breaking pollution control laws than the agency had during the opening months of the Clinton, George W. Bush, and Obama administrations. Reduce sage grouse protections. As part of Administration efforts to increase oil production on federal lands, Ryan Zinke recommends reprioritizing sage grouse protections, saying, “While the federal government has a responsibility under the Endangered Species Act to responsibly manage wildlife, destroying local communities and levying onerous regulations on the public lands that they rely on is no way to be a good neighbor.” These changes will take years to clear legal hurdles. Gulf oil leases. The Department of the Interior said on Thursday it would hold a record-sized auction for oil and gas leases in the Gulf of Mexico, in an attempt to spark interest in offshore drilling. The sale would make 78 million acres available for mineral lease. The sale will be held later in mid-August 2018. Similar sales have produced remarkably little interest. Keep in mind that the Deepwater Horizon in the Gulf was one of the largest environmental disasters in world history. Zinke declares bird deaths legal. The Department of the Interior decreed that it will no longer consider the accidental killing of birds—from eagles colliding with wind turbines to ducks zapped on power lines—a violation of the Migratory Bird Treaty Act (MBTA). This law, passed in the Wilson Administration and now a century old, is one of the oldest and strongest existing environmental protections. 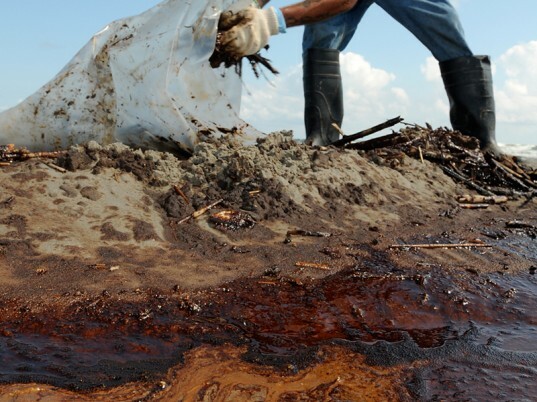 The new rules would protect companies like BP, which was responsible for the deaths of 600,000 – 800,000 birds in the Deepwater Horizon spill, and was fined $100 million as a result. Climate change not a security threat. President Trump announced that the US will no longer regard climate change by name as a national security threat. The Administration’s national security strategy discusses climate change only within the context of energy policy. Reduction of national monuments. Trump announced that he would reduce the 1.35-million acre Bears Ears National Monument, created by President Barack Obama in late 2016, by 85 percent. The president also said he would cut the 1.88-million acre Grand Staircase Escalante National Monument, designated by President Bill Clinton in 1996, nearly in half. A number of suits have been filed to stop the change. Loosened air pollution regulations. In a memo, the EPA dropped “once in, always in” (OIAI), a Clinton-era EPA policy that aimed to lock in reductions of hazardous air pollution from industrial sources. Prior to the change, companies that were required to reduce emissions were required to continue to reduce emissions permanently. Under the new policy, companies that made an initial minimal emissions reduction would then be exempted from the program. Censorship of web sites. A report reveals that in the first year of the Trump administration, U.S. government websites have been systematically altered to cut mentions of climate change. Cuts to Department of Energy. The Administration budget proposal includes cuts to Department of Energy funding for renewable energy and energy efficiency initiatives by 72 percent. Congress wasn’t having it. The final budget passed in May set aside increased funds for clean energy programs. FEMA gets rid of “Climate Change.” FEMA strikes the term “climate change” from its strategic plan. This change comes after a year of sharply rising disaster costs due to extreme weather associated with climate change. The plan discusses the fact that future disaster costs are expected to rise, but doesn’t mention a cost. Science “Transparency.” EPA Administrator Scott Pruitt proposed a rule that would only allow the agency to consider in its rule making scientific studies for which the underlying data are made available publicly. 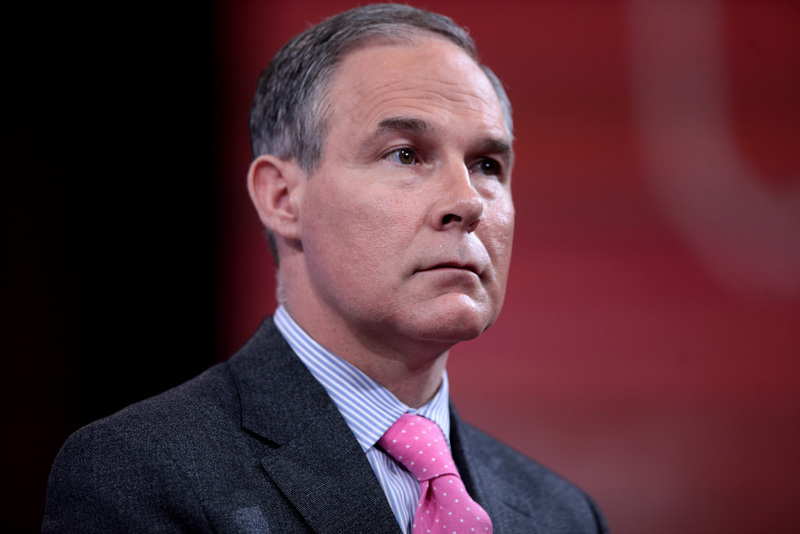 In a letter, nearly 1,000 scientists (many of whom used to work at the EPA) asked Pruitt to abandon the proposal, which they said “would greatly weaken EPA’s ability to comprehensively consider the scientific evidence.” Much of the data that would be excluded is based on reviews of personal health information, which is often not publicly available because of privacy laws or practical challenges. Climate Monitoring Program. The Administration cut NASA’s Carbon Monitoring Program, which funds pilot programs intended to improve the monitoring of global carbon emissions. The program was critical to monitoring the progress of countries in meeting the requirements of the Paris Climate Agreement. Endangered Species. The Administration proposed making key changes to the 1973 Endangered Species Act, that has protected wolves, bald eagles, sage grouse, grizzlies and other species from extinction. This change would allow a discussion of economic impacts in listing a species as endangered or threatened and give regulators more latitude to avoid designating critical habitat for threatened or endangered species. They were easy to identify. They all knew each other. They are neighbors in southern Stillwater County who signed a petition to establish the zone. They greeted each other by name, offered encouragement, expressed resolve to be successful in the suit. Local landowners showed up in force to observe the hearing. There were also three journalists, representing the Billings Gazette and the Stillwater County News. And who was there representing the mineral rights owners who are at the heart of the case? Only the four defendants — Stillwater County Commissioners Maureen Davey, Mark Crago, and Dennis Shupak, and County Clerk Heidi Staidl — and their hired gun attorney from Cheyenne. The Commissioners adopted a novel theory in rejecting the petition, suggesting that it was not sufficient that 60% of these neighbors – over 550 of them – signed the petition, as required by law. They rejected the petition because they said that the law requires the signatures of 60% of the subsurface owners as well, even though no county had required this for any of the 111 previous citizen-initiated zones in Montana. The landowners filed suit in February. There was a heavy irony in this. Here they were – four elected officials fighting in court against the people who voted for them and who pay their salaries, fighting to protect the rights of people who don’t live in Stillwater County and who they don’t even know. The minerals owners are, of course, proxies for the oil and gas industry, who the Commissioners have decided to represent against their natural constituents. It was not surprising that the landowners came out in force against nameless and faceless opposition. At every previous opportunity for public input into this process, the landowners stepped up to support the petition, and nobody showed up in opposition. At a public hearing on zoning in March, 2017, 23 people braved wintry weather to speak in support of citizen-initiated zoning. Nobody spoke against. 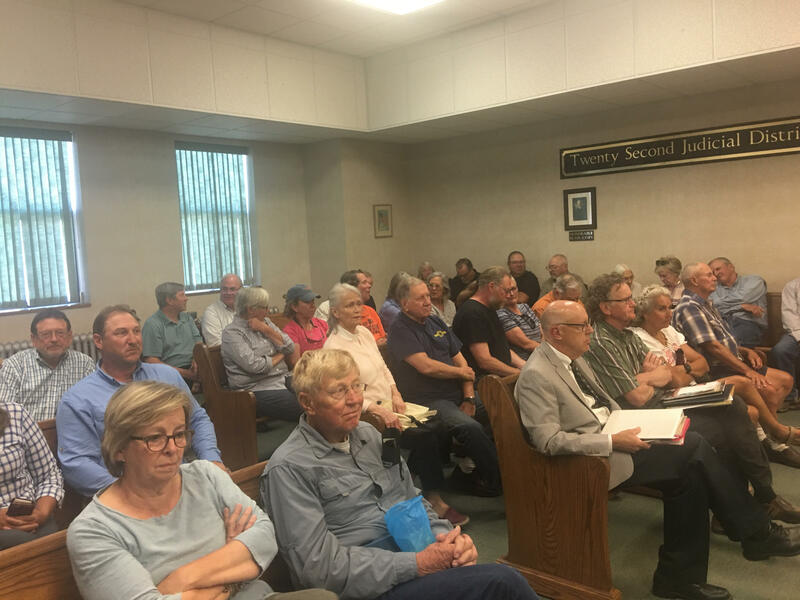 At a hearing on the Commissioners’ proposed new policy on citizen-initiated zoning in March of this year, 25 speakers spoke against the policy, which would have required the signatures of minerals owners, and nearly 50 wrote letters in opposition. Nobody showed up to speak in favor of the policy or wrote in support. 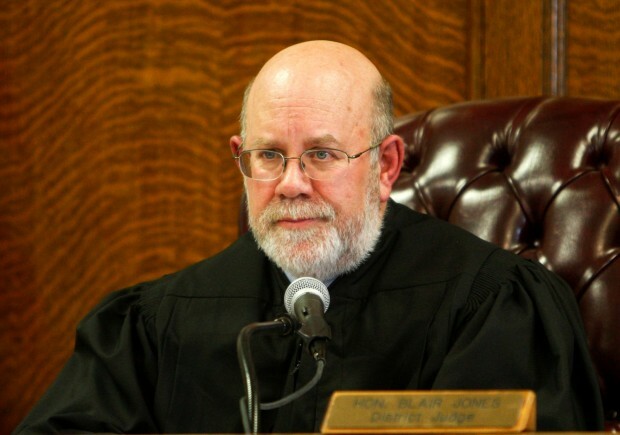 The hearing itself was one-sided, and Judge Blair Jones left no doubt as to how he planned to rule. The Cheyenne attorney had filed a motion asking Judge Jones to decide the case in favor of the Commissioners because she claimed that Montana state law does not allow counties to regulate oil and gas, that this is reserved only for the Montana Board of Oil and Gas Conservation. Kim Wilson, the landowners’ attorney, argued that it was impossible to say whether any regulations are legal because there are no regulations – the Commissioners have not formed the zone, which would have to happen before the court could look at whether they were legal or not. Judge Jones sided with Wilson, responding that the court was not in the business of issuing speculative rulings, and that he couldn’t imagine doing so. He said he looked forward to arguing the real issue in the case, whether minerals owners have a say in land use decisions related to oil and gas extraction. He promised to issue a ruling on the Commissioners’ motion soon, but it is clear that he is going to deny it. Wilson, the landowners’ attorney, said he planned to file a motion for summary judgment on behalf of the landowners within the next few weeks. This will be the primary motion in the case, litigating who has a right to determine what happens along the surface of the Beartooth Front. After the hearing the neighbors retired to the hallway outside the courtroom to exchange greetings and congratulate each other on a successful day in court. The Commissioners went back to their offices alone, none willing to venture out to speak to their constituents. This is going to be a long process. There will be other days in court on this case, some perhaps more difficult than this one. But there is no doubt the landowners are resolved to fight as long as it takes to protect their rights. The issue for them is personal. This is their land, their community, their livelihoods. The Commissioners, for their part, seem determined to fight against their taxpayers to protect the oil and gas industry. It is much less clear what drives them. I wonder if they know themselves. Stillwater County Courthouse. Click for directions. 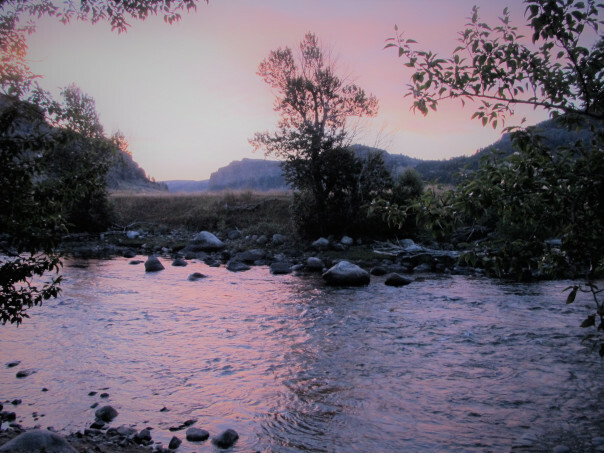 The Beartooth Front landowners filed suit against the Commissioners in February 2018 after the County declined to consider their petition to form a citizen-initiated zone. The landowners filed the petition, which included the signatures of over 550 landowners, in February 2017. According to the petition, the zone would establish reasonable regulations to ensure that future oil and gas drilling in the 83,000 acre area covered by the zone would protect the “rural residential and agricultural character of the area.” It would not ban oil and gas drilling (see zone map). The hearing concerns the County’s request for a summary judgment in the case. They have argued that the zone the landowners have petitioned for cannot be formed because only the Montana Board of Oil and Gas has the power to regulate oil and gas, and the County should be granted a judgment in its favor. The landowners have countered that there are, in fact, many ways in which oil and gas is regulated by other entitites, and, as a result, the suit should go forward. As a matter of fact, there are at least 111 citizen-initiated zones in Montana, several of which establish the same kinds of regulation over oil and gas drilling that the landowners seek to create. 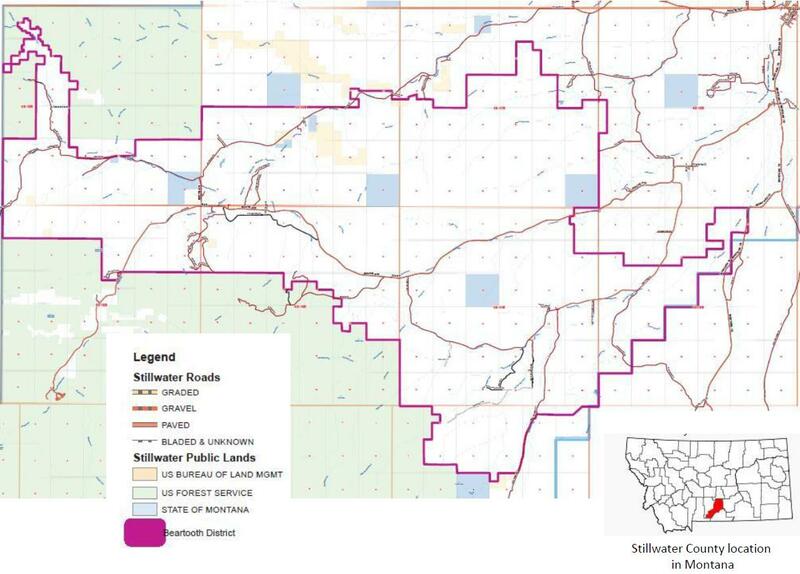 What is unique about this case is that the Commissioners, after notifying the landowners that they had reached the required signature threshold of 60% of the landowners in the proposed zone, decided that 60% of the signatures of minerals owners were required as well. Requiring the signatures of minerals owners is a significant departure from existing practice in the state, and would be a blow to landowner rights going far beyond oil and gas regulation if the County is successful. No citizen-initiated zone formed in Montana has ever required the signatures of minerals owners. If the County is successful in the suit, it could mean the effective end of the right of Montana landowners to petition to control what happens on their properties. Please come if you can. I hope to see you there. 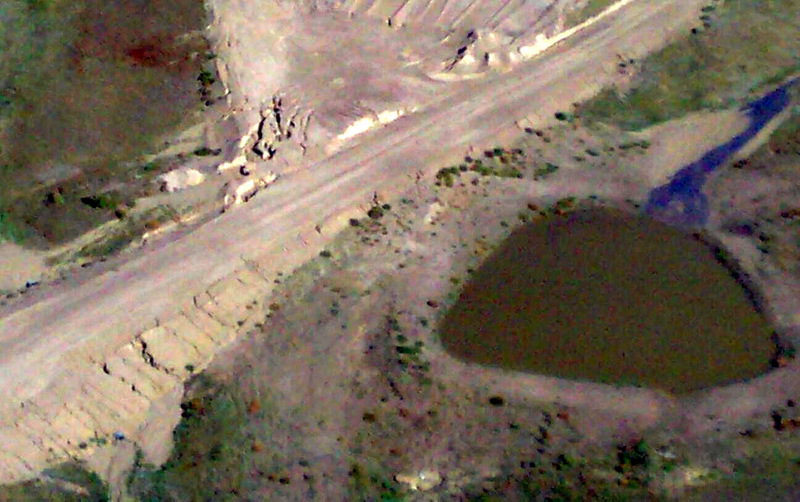 The County is represented by the Budd-Falen firm of Cheyenne, Wyoming, a radical firm that has represented clients such as Cliven Bundy, and is a leading voice in opposing regulation and advocating for the disposal of federal land. 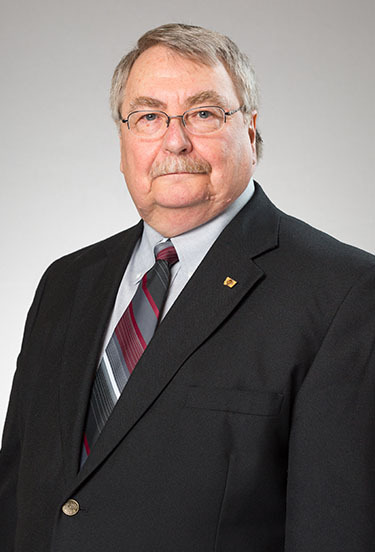 The landowners are represented by David K. W. Wilson of Helena, whose practice involves representing Montanans concerned about protecting their constitutional and environmental rights. katz.files.wordpress.com/2018/02/beartooth-front_bw3.jpg”> The Beartooth Front is a unique area that is vulnerable to oil and gas drilling. It needs to be protected.